At first glance from the sidewalk you may find yourself thinking you’re about to enter an alley speakeasy. Across the street from a massive, edgy mural, 111 Minna’s atmosphere embodies an authentic San Francisco vibe. With a wonderful bakery selection and reasonably priced tea options, it’s easy to get lured into 111 Minna Gallery. Immediately though, as you break the door’s threshold and see the 16-foot-high walls, floor to ceiling windows, exposed piping overhead, original hardwood floors, and rotating art exhibitions the dynamic personality of this venue becomes evident. With 4,700 square feet of open space, 111 Minna Gallery is an ample artistic space resting right around the corner from San Francisco’s museum central, in the Moscone Center. 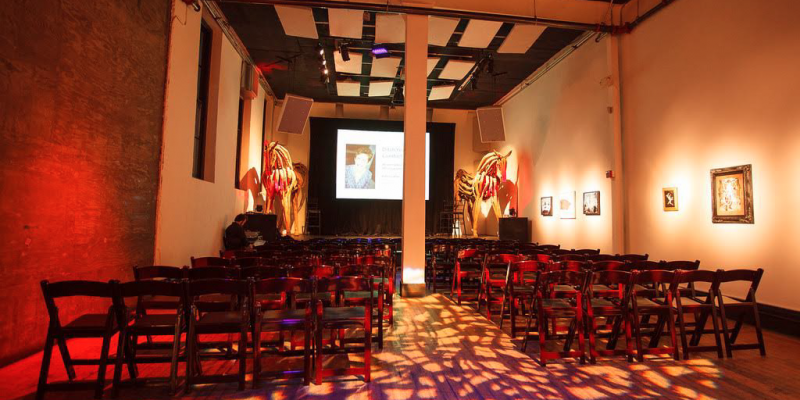 This venue can easily entertain small groups of 50 or raging groups of 500, with a full espresso bar, beer, wine, and cocktails, sound system, multiple entrances, and a raised stage. Even more, when 111 Minna Gallery is open to the public throughout the day, it offers wonderful happy hour specials, mixers, music, and an excellent space to read with the backdrop of a professional art gallery. 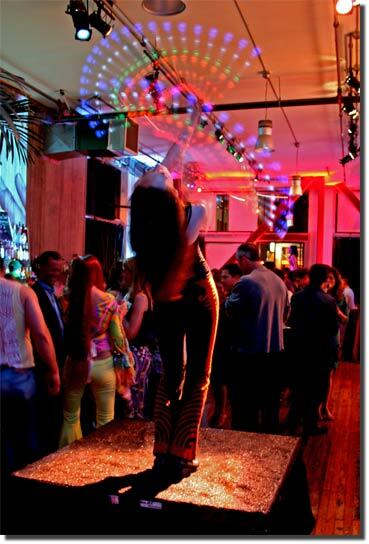 A must-see of San Francisco’s downtown lounge spots.